The Index opened huge gap-down below 8400 on the back of Negative Greek Referendum, but saw buying interest at lower level to close in positive and above 8500 for the first time in more than 2 and half month to close at 8522.15, gain of 37.25 points. The broader market was strong, with 1036 advances to 468 declines. The range as per OI table stays at 7900-8700. Call option 8400, 8600, 8800 added 5.66 lacs OI with short covering seen at 8300 and below strike prices. Put option 8600-8200 added huge 15.49 lacs OI with profit booking seen at 8100 and below strike price. 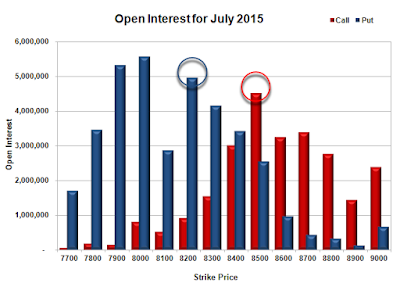 Nifty Open Interest is at 1,77,47,600 up by 3,87,725, with increase in price, most probably long build-up. 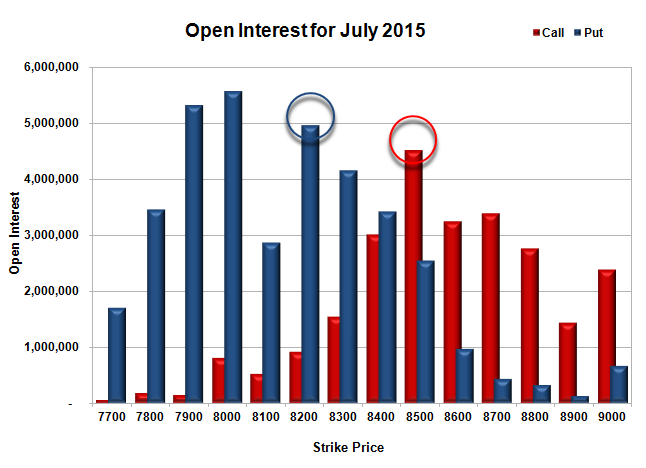 Bank Nifty Open Interest is at 18,46,200 up by 10,225, with increase in price, most probably long build-up. FII’s sold huge 8.46 lacs Futures, which includes 14566 contracts long liquidation and 19284 contracts short build-up, with increase in net OI by 4718 contracts (includes 66213 longs to 100063 shorts for the day) and the Average Price comes to 8666.16. 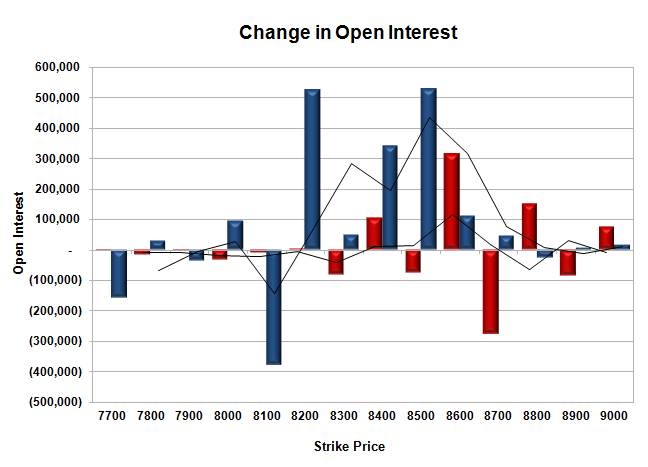 FII’s Index future open contract as on date is 500751 Longs to 181285 Shorts, Net Long 319466 contracts. Initial support at 8400, with OI of 34.21 lacs and below that at 8300 with OI of 41.56 lacs. Initial and best resistance still at 8500, with OI of 45.21 lacs and above that at 8600 with OI of 32.54 lacs. 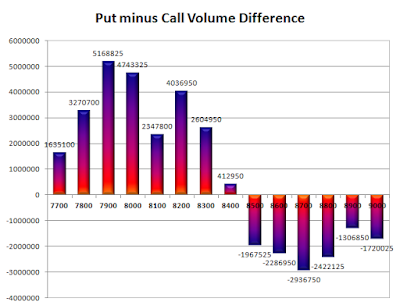 Day Range as per Option Table is 8417 - 8564 and as per VIX is 8451 - 8594 with 8480 as the Pivot.